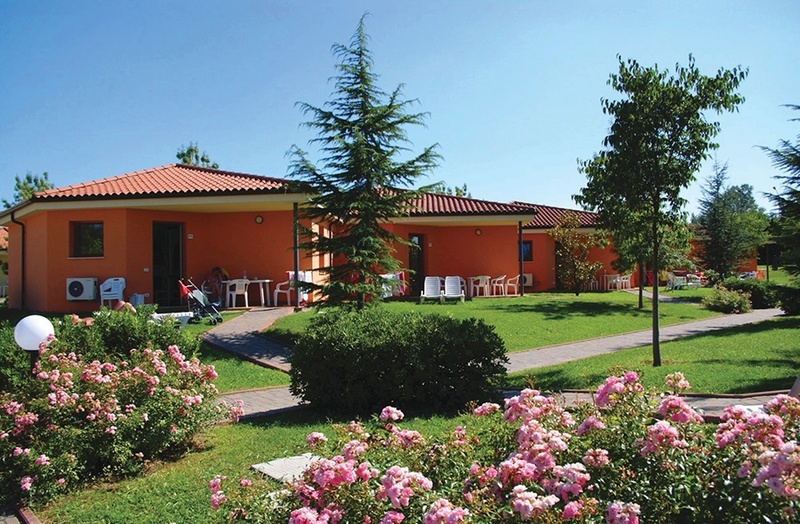 A firm favourite with Irish holidaymakers for many years, Bella Italia has long been one of the most popular campsites in Italy. 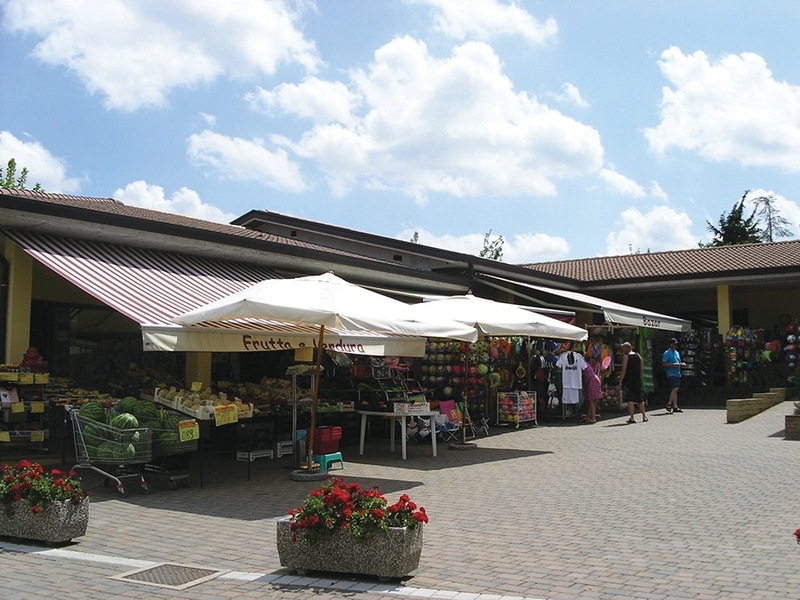 It's a fantastic and lively site situated directly on the lake. Ideal for families that are looking for a serene holiday with an abundance of enticing activities, suitable for all ages. A very pleasant and well kept property, with beautiful scenery, in natural surroundings it has a hedge lined avenue winding through the site, giving off stunning views of the lake and mountain and facing on to a long beach. 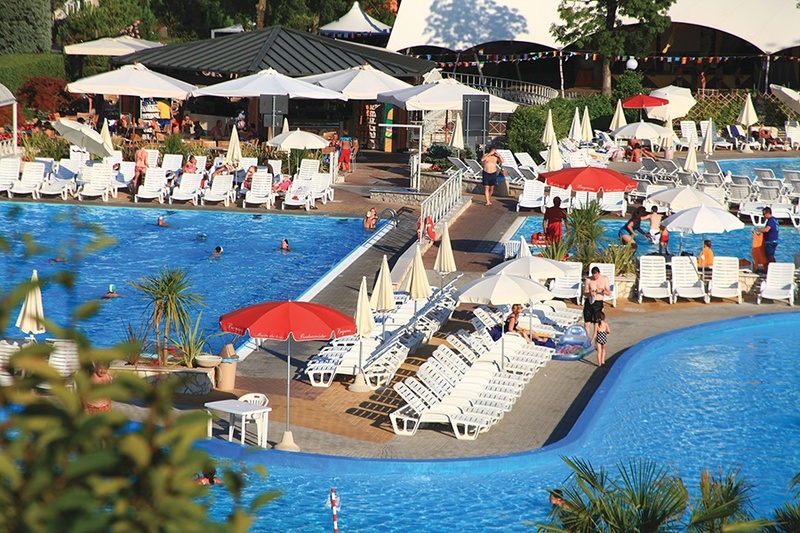 The highlight of Bella Italia is the wonderful swimming pool complex on the site, with several pools and impressive waterslides, shallow sections for the little ones and even a large sandy beach. 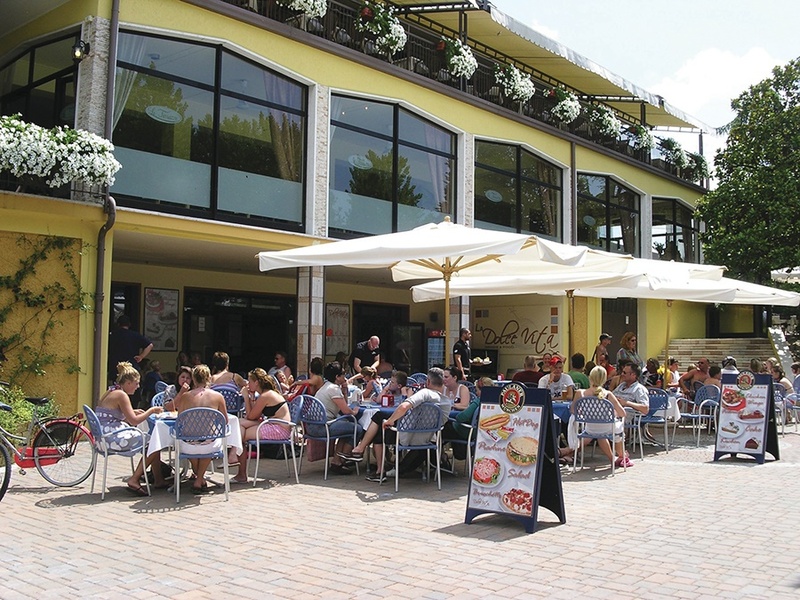 The entertainment is amazing at Bella Italia, they offer a variety of sports and organised activities throughout the day and evening, the team also host competitions and games to coordinate the fun, culminating in dancing and shows. This active park has a wide range of facilities to keep everyone amused. 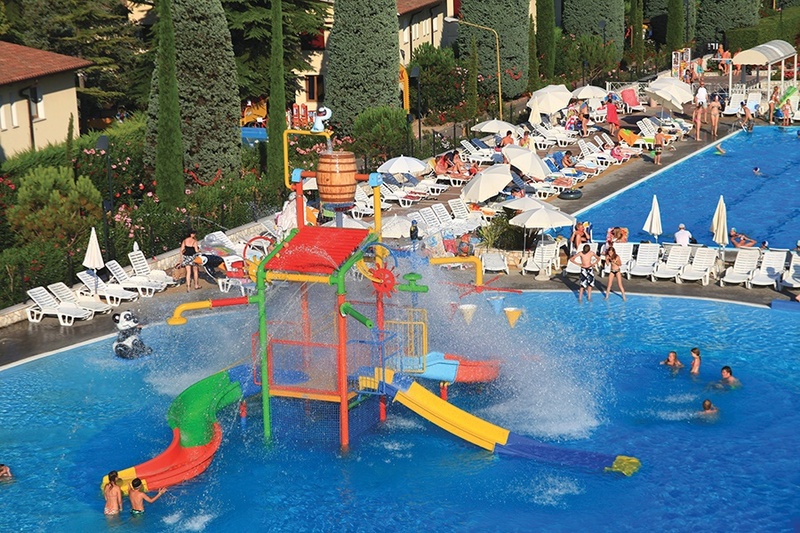 Camping Bella Italia is set on the south eastern tip of Lake Garda. 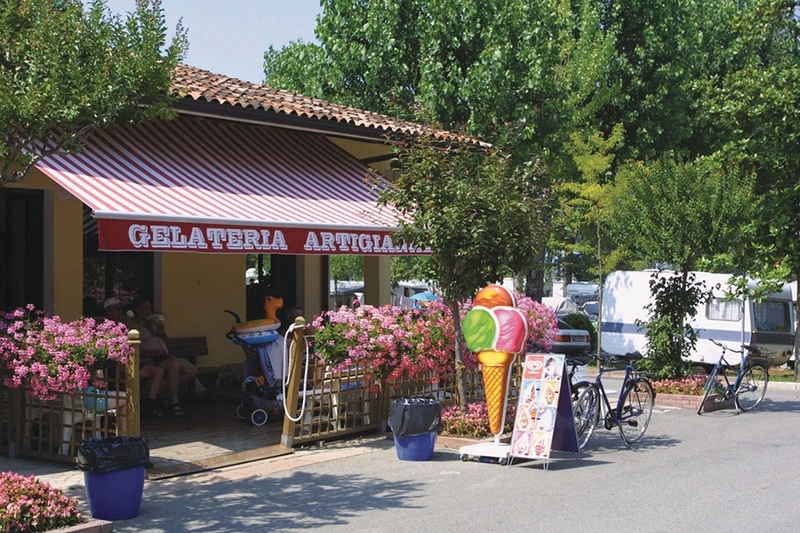 With direct access to the beach, and right by the lake, it's only a short stroll from the centre of Peschiera offering plenty of shops, bars and restaurants. The location alone is a guarantee for a successful holiday. 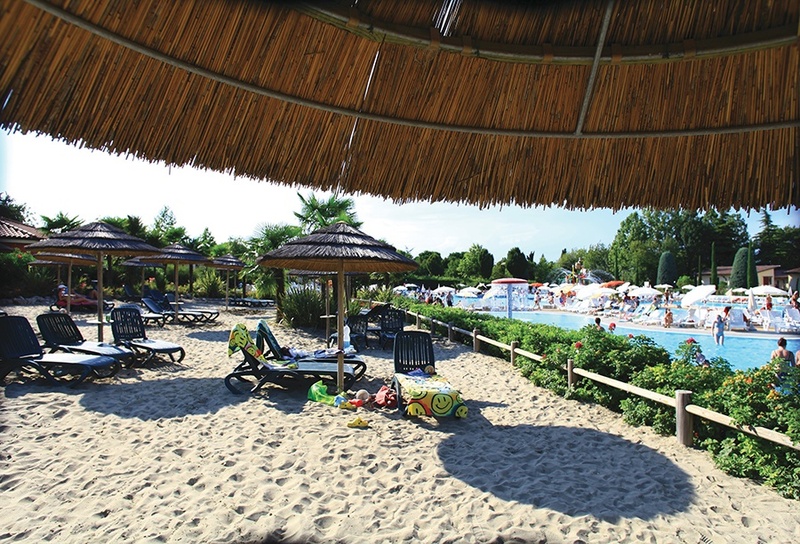 There is a lovely pebble beach by the campsite that will keep all watersport enthusiasts busy all day long, whether its sailing, water skiing, paddle boats or just simply swimming and enjoying the sun. The beautiful towns of Lazise, Desenzano and Sirmione are also close by. 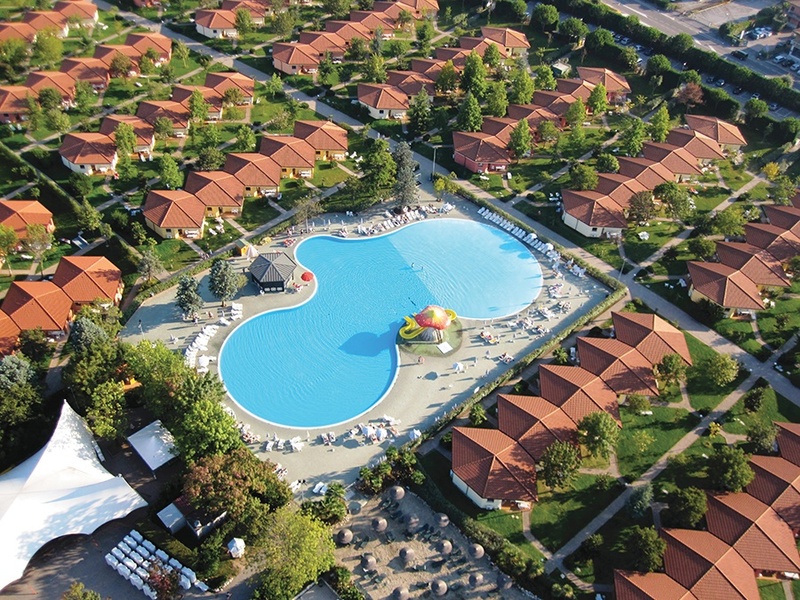 Conveniently located near Gardaland, Italy's most famous amusement park and Caneva World resort. All Sunway clients will stay in the luxurious Oleandro bungalows. These 2 bedroom bungalows are a great alternative to a regular camping holiday. They feature a living room with dining area and sofa bed along with two bedrooms. 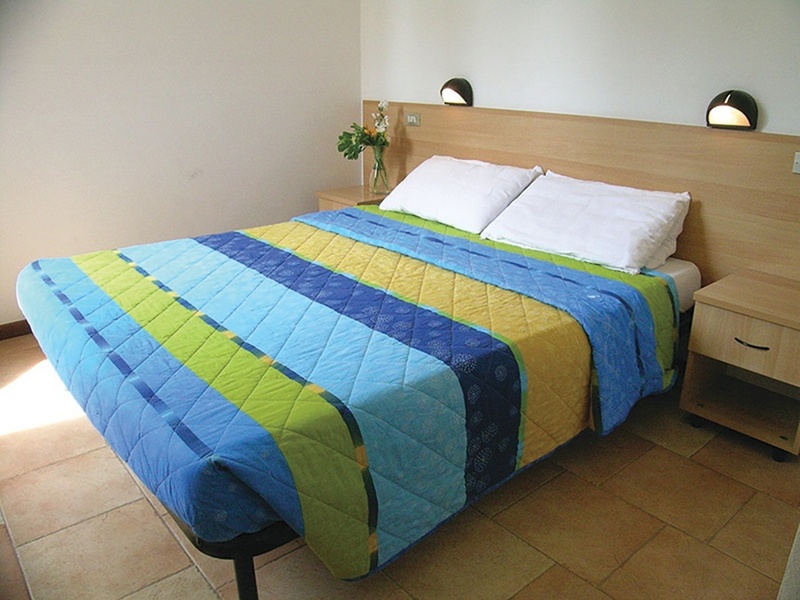 The Oleandro bungalows have individually controlled air conditioning, TV and safety deposit box. The bungalows sleep up to 6 people with a double and twin bedroom, and a double sofa bed in the living area. There is a fully equipped kitchen and bathroom with shower. The outdoor patio is equipped with garden furniture.